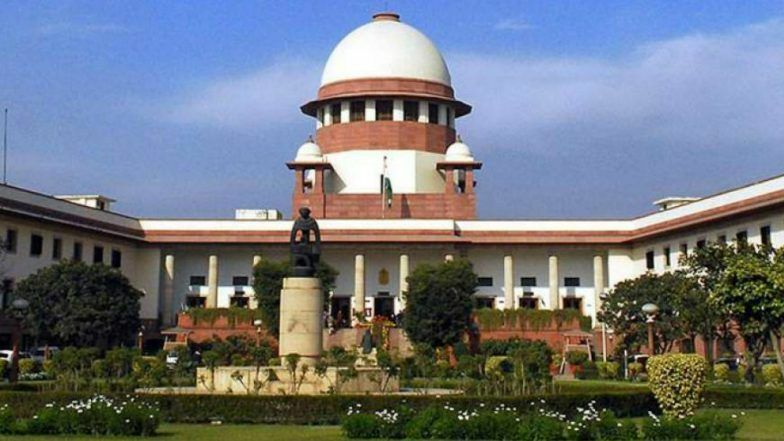 New Delhi, April 12: The Supreme Court Friday directed former Jharkhand minister Yogendra Sao to surrender before a court in Ranchi by April 15 in cases related to rioting and inciting of violence. A bench headed by Justice S A Bobde said Sao will have to surrender by Monday. Advocate Tapesh Kumar Singh, appearing for Jharkhand, said that Sao can surrender before the concerned trial court in Ranchi. He said all the case records have been transferred to Ranchi in compliance with the apex court order. Supreme Court Dismisses Petition to Perform Puja on Disputed Land in Ayodhya, Says 'Peace Should Not Be Disturbed'. The apex court order came on a plea of Sao seeking clarification of the order on the place of his surrender. The apex court had on April 4, trashed Sao's plea seeking to campaign for the Congress for the Lok Sabha polls and cancelled his bail, saying he has violated the bail conditions. Sao became a minister in the Hemant Soren-led UPA government in Jharkhand in 2013. He is an accused in over a dozen cases of rioting and instigation of violence. The BJP-led state government had moved the apex court seeking cancellation of the bail to Sao and his MLA wife Nirmala Devi. It had claimed that they both violated bail conditions imposed by the top court. Both Sao and Devi were granted bail on December 15, 2017, by the top court and directed to stay in Bhopal as a bail condition. They were allowed to visit Jharkhand only for court hearings under police protection after intimating the Bhopal superintendent of police. The top court had rejected their plea allowing the couple to visit Jharkhand for a month for electioneering, saying they were influential persons and do not deserve any indulgence. "You both have failed the trust we reposed upon you. We are disappointed by your conduct. You don't deserve any indulgence," it had said. The bench, however, had refused to cancel the bail of Devi and said that her deviations in bail conditions are not substantial keeping in mind that she was a legislator. The top court had transferred the trial of 18 cases against Sao and Devi to Ranchi from Hazaribagh district in Jharkhand. It, however, refused to allow the plea of Devi to let her stay in Patna instead of Bhopal. Mediation in Ram Janmabhoomi-Babri Masjid Ayodhya Case: Asaduddin Owaisi, Nirmohi Akhara Oppose Sri Sri Ravi Shankar's Inclusion in SC-Appointed Panel. The bench had said it is satisfied that there has been breach of bail conditions imposed on Sao as his "unauthorised presence" was found in Jharkhand while he was directed to stay in Bhopal. It was found that Sao left Bhopal on several occasions without any intimation to local authorities despite direction from the court and his presence in Jharkhand during the corresponding period was not disputed, the court had said. "We are satisfied that the conditions reposed by the court in its December 15, 2017, order has been breached. We therefore cancel the bail...," the bench had said. Jharkhand government counsel Tapesh Kumar Singh has claimed that since Sao was granted bail on December 15, 2017, out of 253 days he has lived in Bhopal only for 25 days. He had said Sao used to leave Bhopal without any intimation to local authorities despite direction from the court. Sao's presence in Jharkhand during the corresponding period can be established through flight tickets and call details records, Singh had said. Singh claimed that Sao had even threatened a police officer who is a witness in one of the cases and an arrest warrant is pending against him. Both Devi and Sao were accused in a case relating to violent clashes between villagers and police in 2016 in which four persons were killed. Devi, a Congress MLA, had led an agitation against NTPC authorities for their alleged attempt to forcibly evacuate villagers from Barkagaon without giving them due compensation or rehabilitation, according to police.